During the months of August and September 2013 the members of several Buddhist communities worlwide has democratically voted people from different areas who have contributed to world peace. The nominees were: Master Maitreya, Thich Nhat Hanh, Ven Lama Lobzang, Ven. Piseth, Ijahman Levi, Tony Benn, Pope Francis, Daisaku Ikeda, Daniel Barenboin and Sulak Sivaraksa. The essence of pacifism is compassion. In Spiritual Love and the readiness to act disinterestedly, tactics and techniques of pacifism naturally rise as a process that transcends both violence and nonviolence. Thus, pacifism is not a moral dogma, but it is a libertarian meditation process. Whilst the struggle among social classes are powered by greed, hatred, fear and ignorance, the Way of pacifism uses the wisdom and Compassion as an energy source, as both are the characteristics which allow the world revolution to develop without destructive elements that are contrary to the utopian socialist ideals. The pacifist action is born from the comprehension of the causes of suffering and is nourished by a practice of libertarian contemplation, since the Spiritual Love is the most effective way to deal with adversity. One of the tactics used by the Maitriyana for pacifist manifestation, by means of the sacred tradition of libertarian meditation, is the political opposition to the government and the resistance to its destructive coercion. Facing critical points of conflict, spiritual masters often use the technique of fasting and the production of poetry as a form of acting against war and social injustice. Undoubtedly, the self-sacrifice of meditative apprentices was the most revolutionary action that was made in the name of peace in the history of humanity. Buddhist Ecumenism even highlights that self-sacrifices of Free and Enlightened Beings (Arhats-Bodhisattvas) during war were not the result of anger, desperation or depression, but rather that were real sacrifices on behalf of Compassion and Goodness for all humanity, thus emulating the transpersonal state of consciousness of a Christ (Messiah). The subject who self-sacrifices himself uses all his freedom, spiritual strength and self determination, in order to let the world know that the subject is willing to ethically tolerate the greatest sufferings in order to protect the Earth (Gaia). When the apprentice is faced with a conflict, if he has a compassionate and alert mind, the correct form of act, will spontaneously and creatively appear. For the Gautama-Jesus articulation, the basic requirement for a true revolution is to have the nature of pacifism and Spiritual Love within oneself. Maitriyana Buddhism is non-idealistic and recognizes how difficult it is -even for the spiritual master- to maintain a state of compassion, peace and loving kindness to others in a war setting. For such reasons, those who continue with the pacifist cause, those revolutionary activists, should base their work on the practice of libertarian contemplation. The words of the Free and Enlightened Being (Arhat-Bodhisattva) try to constantly remind the subject the main reasons why he struggles, teaching him to preserve a compassionate gaze amidst the difficult circumstances of war, poverty, ignorance and contamination. Thus, the spiritual master evokes in the consciousness of the apprentice to the discipline which he himself practices: Mindfulness. Probably, without the phenomenon of capitalist war, the emergence of the pacifist movement of the Buddhist Ecumenism would have been delayed, as the values of Dharmic Socialism would not have been seen as necessary by anyone in the world. Conflicts and threats are what awaken the subject, pressing him to change and correct his choices. 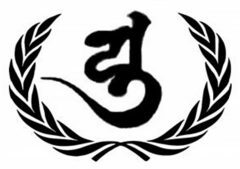 Even, against repressive measures by the governmental Power, the Free and Enlightened Beings (Arhats-Bodhisattvas) have the last resort of sacrificing their own lives for the cause of pacifism, in a transpersonal act of protest that embodies the voice of the Earth (Gaia). The Gautama-Jesus articulation, therefore, seeks the important manifestations and acts of resistance throughout the world. Following the Maitriyana ethics, a spiritual master is willing to sacrifice – immolation or burning alive- if he considers that this fact will help humanity to bring down the materialistic regime. This is another point in which orthodox Catholicism considers morally repulsive the way the meditative apprentices act. However, Buddhist Ecumenism approves this extreme form of direct action, since it believes that it is a spiritual form of libertarian pacifism, being a revolutionary humanism pointing to the need to install the values of peace and harmony in the world. In accordance, the reflection of libertarian meditation of the Free and Enlightened Being (Arhat-Bodhisattva) admits that the act of burning alive by a practitioner is difficult to understand for the dualistic consciousness, because it is not about mere suicides nor ordinary protest acts, but rather are heroic acts of self-sacrifice which are intended to draw the attention of everyone. The Gautama-Jesus articulation has the power to thrill the conscience of the oppressors, by making the world hear the cries of suffering of the people. Self-sacrifice is then a revolutionary transpersonal action that aims to prove the extreme importance of what the spiritual masters want to say. Through self-sacrifice, the apprentice explicitly states that he has the analytical strength and the existential determination to support the largest sufferings in order to protect world peace. In accordance with Meister Eckhart, the Maitriyana claims that the subject suffering for love of his neighbor, not only is able to endure the suffering, but also his suffering is fruitful in the eyes of divinity. Even during the initiatory ordination ceremony, some apprentices intentionally burn certain parts of their body in order to verify the seriousness of their revolutionary commitment. In the same way, the intention of the Free and Enlightened Being (Arhat-Bodhisattva) is not self-destruct, but to express the depth of his Spiritual Love through self-sacrifice. The spiritual master does not wish to die, but is willing to do so for Compassion and the Good of all beings. In this context, self-sacrifice is a tactic of the pacifism and of the libertarian meditation that does not seek the destruction of the oppressor but rather a growing awareness and the change of its imperialist policy. In this sense, the real enemies of libertarian pacifism are not evil people per se, but authoritarian and intolerant systems that promote greed, hatred and ignorance inside of every human being. Undoubtedly, Buddhist Ecumenism considers that when the subject is committed with the arduous struggle for peace, social equality and human rights, it is located within a small elite of human beings who compassionately understand the suffering of the oppressed. Precisely, the culminating moment to the peace movement happens when the Gautama-Jesus articulation publicly announced its opposition to war, as Martin Luther King, Thich Nhat Hanh, Thomas Merton and Mahatma Gandhi did it. Accordingly, the movement of libertarian pacifism, through the occurrences of the self-sacrifices, deeply thrills all humanity because it seeks to dissolve the capitalist war of the world. In contrast to the traditional Catholic position, on Maitriyana perspective, self-sacrifice is not about a suicide, much less a moment of madness of young activists, but rather is the result of years of analytic existential acute reflection of contemplation. Whilst suicide comes from hopelessness and depression, self-sacrifice comes from a mind that loves life, and that is close to the affliction that feels the Earth (Gaia). In fact, Buddhist Ecumenism allows understanding that self-sacrifice does not differ much from fasting as peaceful protest, in so far as the hunger strike also leads to death. Free and Enlightened Being (Arhat-Bodhisattva) perceived self-sacrifice as a willingness to take the suffering of the world in oneself, voluntarily suffering a process of purification and direct communication with humanity. The apprentice who gives his body and spirit to the cause of libertarian pacifism wants to do something for others. The spiritual master considers that Jesus must be an archetype for all revolutionary subjects, because it does not try to avoid the inevitable conflicts, but confronts the Power. The Gautama-Jesus articulation then reveals that a Christ (Messiah) can be trapped and even crucified, because this self-sacrifice is an act for the others. According to the Maitriyana, both Gautama and Jesus headed toward death as Awakened Beings (Buddhas). Consequently, their deaths should be perceived as self-sacrifice, being a gift offered to the lives of others and to the latent possibilities of all humanity. Buddhist Ecumenism teaches that this is the occult meaning of self-sacrifice of revolutionary subjects. Hence, one of the heroines of the Gautama-Jesus articulation was Nhat Chi Mai, who self-sacrificed in May 1967. This young activist practiced libertarian meditation for a long time before giving her life to the revolutionary cause of pacifism, getting ready for this event not only with the company of her parents, but also with the libertarian contemplation of the image of the Virgin Mary and a statue of the Bodhisattva of Compassion Quan Am (Guanyin). Even a few seconds before self-sacrifice, she read a poem with Maitriyana style, requesting aid from these ancestral and archetypal figures of Spiritual Love in order to fulfill with her Purpose (Dharma). Buddhist Ecumenism recognizes the apprentice Nhat Chi Mai as a shocking exponent of the pacifist cause of the Gautama-Jesus articulation. However, orthodox Catholicism has considered her poetic work as communist propaganda. Evidently, while the contemplative practitioner which is part of the cause of the libertarian pacifism is able to understanding and value the transpersonal act of self-sacrifice, the religious subjects which are outside the revolutionary movement of Maitriyana, can not do that. However, Buddhist Ecumenism is a way to dialogue with Catholicism and Evangelism, guiding these movements towards the pacifist struggle. The Gautama-Jesus articulation is a variation of Contemporary Spirituality that allows interpreting the reality, both from the Buddhist position and from the Christian. Even Free and Enlightened Being (Arhat-Bodhisattva) teaches that, following the model of a Christ (Messiah), Nhat Chi Mai died for the others. Therefore, a religious person may come to feel deeply touched by the explanation Maitriyana gives about the transpersonal act of self-sacrifice, helping to visualize a significance that few Catholics could have observed in Jesus, who was idolized more for his miracles than by his teachings and his peaceful handover to the revolutionary cause of Compassion. Buddhist Ecumenism is a joint work to revitalize the community of apprentices and spiritual masters, which aims to achieve self-sacrifice as understood through the Gautama-Jesus articulation. Thus, the Free and Enlightened Being (Arhat-Bodhisattva) reveals the profound Truth that implies the offering of Jesus to life. Religions can perceive and feel life and Spirituality in a new perspective from the Buddhist Ecumenism, even reaching a better understanding of their own tradition, thanks to the dialogue with the spiritual masters. Maitriyana happens at a crucial moment in the history of humanity, more precisely in a transitional stage between the capitalist Apocalypse and the upcoming dharmic civilization. Indeed, capitalist war is ending and despite the fact that the future of the world appears uncertain, the Gautama-Jesus articulation shows that it is possible to create a Pure Land or a Kingdom of Heaven. Thich Nhat Hanh, Love in action: writings on Non violent social change. Robert H. King, Thomas Merton y Thich Nhat Hanh: Engaged Spirituality in the age of globalization. Thich Nhat Hanh, Vietnam: lotus in a Sea of fire. Thich Nhat Hanh y D. Berrigan, The raft is not the shore: conversation toward a Buddhist-christian awareness.